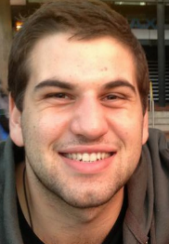 Looking back on his high school years at the Melbourne Lasallian school,St John's College Dandenong, Stephen Beirouti never felt a clear calling to religious life, but still knew he wanted to live a life of service in some way or another. Four years after he was Vice Captain of St John's, Stephen has made a courageous leap of faith and taken his first step towards becoming a De La Salle Brother. Last year, the 22 year old youth minister wrote to Brother Visitor David Hawke and he was accepted into the aspirancy program. Now based at La Salle College at Middle Swan, where he is the Christian Learning Service Coordinator, Stephen is currently the only Australian training to become a De La Salle Brother. 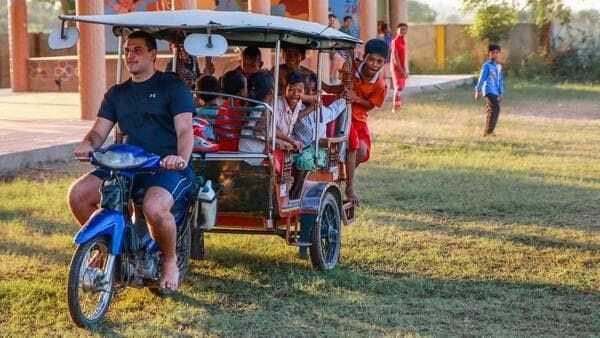 Over the past four years, he has been an enthusiastic volunteer through Share the Mission programs in Cambodia on two occasions and he spent one year volunteering in the Indigenous community at Balgo Hills in 2013. Stephen has also worked as a Lasallian youth minister at St James College in Melbourne and in his current school in Perth. He believes the seeds for his vocation were sown during his senior years at St John's College, even though he was not fully aware of that at the time. 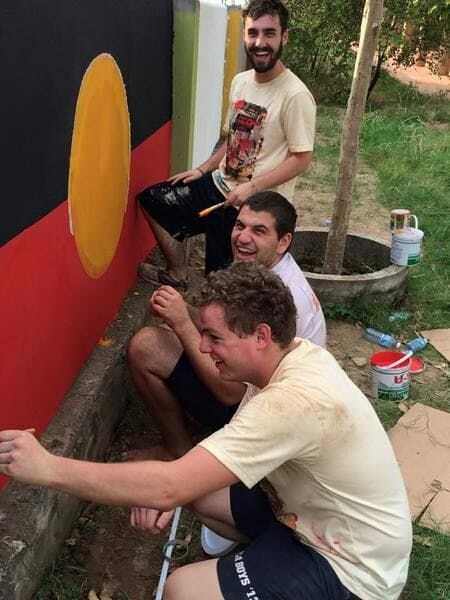 "Brother Tony Cummins was our campus minister at St John's and he had a big photo of the Indigenous community at Balgo Hills in his office", Stephen explained. "I would spend some lunchtimes in his office talking about the work of the De La Salle Brothers and he definitely became a strong mentor to me then and still is today". Br Tony encouraged Stephen to attend the Lasallian Youth Gathering in Rotorua when he was in Year 12 and he believes this also turned out to be a pivotal moment on his faith journey. "It was my first interaction with the broader Lasallian community beyond Melbourne and I immediately felt at home with what I came to see as a Lasallian extended family", Stephen said. 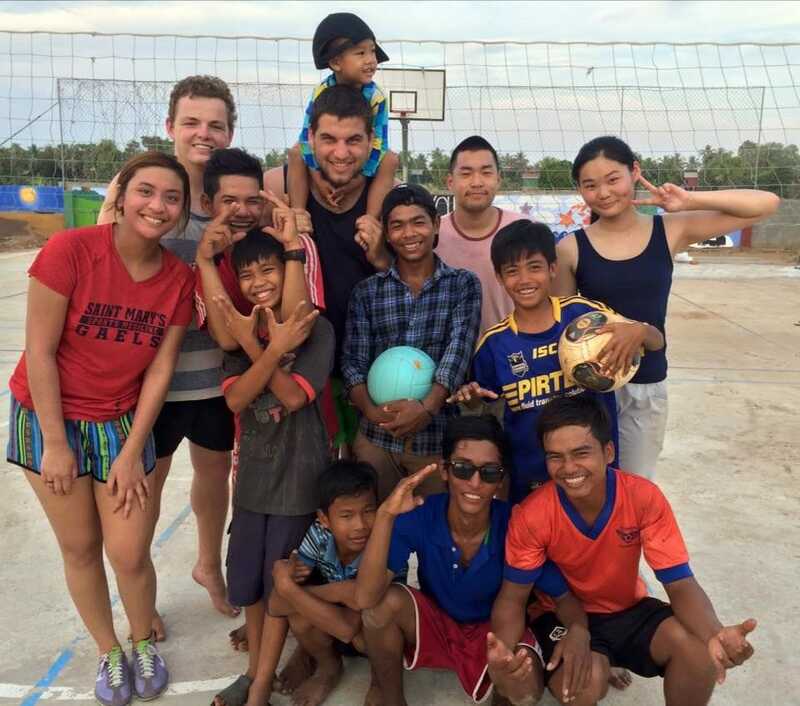 The zeal to serve that was instilled in Stephen during his years at St John's led him to embark on not only a year at Balgo Hills, but also two shorter volunteer stints at La Salle School in Po Thum in Cambodia. The school caters for children from disadvantaged backgrounds, including some orphans. And Stephen believes it was here that he experienced a real "light-bulb moment" as he began discerning a vocation as a De La Salle Brother. "I lived within the Brothers community and joined with them in morning prayers over five or six days there and alongside my work with the children there, that was definitely a pivotal time for me on the journey", he added. Stephen's mentor, Br Tony Cummins was Vocations Director for the province at the time. Br Tony knew that Stephen was now in the early stages of his discernment and suggested he experience community life alongside a group of other Young Lasallians at La Salle Community at Malvern in Melbourne. Through this residential community, Young Lasallians can go about their everyday commitments, while being accompanied by each other, sharing their faith in a community living arrangement. "I started asking a lot more questions about the life of a Brother at that stage", Stephen explained. "And through that, I've been fortunate to have a number of mentors along the way, including Br Quentin O'Halloran in Mentone who has helped me a great deal during my first year as an Aspirant". Stephen said his faith and commitment has definitely been strengthened through his current role as Christian Learning Service Coordinator at La Salle College in Perth. "I've found it really rewarding being responsible for encouraging students across Years 7-12 to volunteer with not for profit organisations which sits so well alongside that Lasallian ethos of being of service to others", he said. Stephen now also sees himself increasingly as a mentor to senior students and other Young Lasallians who may be discerning a vocation to religious life. "If you wait for an absolute sign, sadly you may be waiting forever", he said. "Ultimately, you need to trust in God, leap in and take that first step".